Written by Joon Pahk on Jan. 11, 2018 in Public. Last update on Jan. 11, 2018 .
i wrote a book! 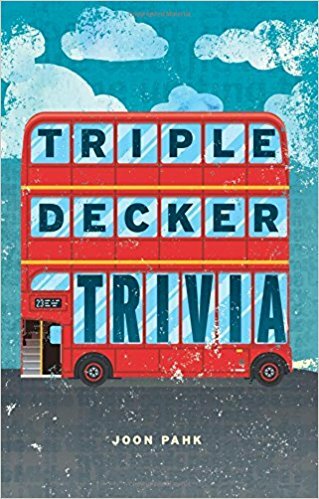 i know i haven't been posting here much now that the puzzles are going out by email, but i did want to mention here that my book of trivia puzzles, triple decker trivia, is now available! Written by Joon Pahk on Aug. 18, 2017 in Public. Last update on Aug. 18, 2017 .
yes, there will be a year 3. there are no changes to the plans offered (types, number of puzzles, price) in years 1 and 2. Written by Joon Pahk on April 2, 2017 in Public. Last update on April 2, 2017 .
congratulations to austin burns of orlando, the winner of the meta contest from the ACPT puzzle! in a staggering coincidence, austin also won the meta contest for last year's ACPT puzzle. can he three-peat next year?!? full recap (including spoilers for the puzzle) after the jump. Written by Joon Pahk on March 24, 2017 in Public. Last update on March 24, 2017 . ACPT starts today! i'm making this variety puzzle by andy kravis free to the public. it's challenging, but i believe in you. and it's a contest puzzle with a meta! Written by Joon Pahk on Feb. 28, 2017 in Public. spoilers ahead for year 2 rows garden #25. spoilers! Written by Joon Pahk on Sept. 5, 2016 in Public. Last update on Sept. 5, 2016 . Written by Joon Pahk on Aug. 29, 2016 in Rows Gardens. want to download all the year 1 rows gardens in one convenient bundle? i've got you covered. Written by Joon Pahk on Aug. 29, 2016 in Variety Puzzles. a number of people have asked if i could make all of the year 1 puzzles available in easy-to-download form, for the convenience of those catching up. well, you asked and i am delivering.